Travelling abroad is usually an expensive affair and hence you want to make the best of the limited time you have there. To optimise vacation time you end up spending hours and hours on the internet researching about the place. You try and figure out where to eat, how much would it cost, what to see, how to get there, and so on. There is seldom room for you to be spontaneous. And if you are traveling with family it becomes even more important to make the most of your time there. You cannot be casual about your trip. Everything has to be pre-planned. What if I tell you, you don’t HAVE to travel that way. You can be as spontaneous as you want to be. You would probably not believe me. But this is exactly what we are trying to achieve for travellers like ourselves. We’ve seen that tourists waste a lot of time trying to locate good restaurants, shopping, pubs, money changers, etc. Even with copious amounts of planning, you need information about these facets, on the go. One very interesting thing that also came up during our research phase was that travellers were seldom familiar with local portals or digital properties to get the right information from, and more often than not ended up using Google for everything. Now we all know that Google is great but not perfect. My recent trip to London taught me that Google can go badly wrong in giving ratings to a restaurant. A 3.5 rating for me from Google would mean that I would enjoy a meal here. But unfortunately, I ended up spending a lot of money for really bad food. Tesco Express would have been a better bet any day. But that is the thing about internet. It is only as good as the things we ask it to do. I was not familiar with local content curators, like Yelp in the US, or Zomato in India. Hence Google was my go-to portal. After one bad experience, I started reading the reviews. The average time I ended up taking deciding where to eat went up almost to an hour. That’s a sheer waste of precious vacation time. And more often than not, I would settle for a place near to me or a short 10-minute ride away. I really could have used Trabug on that trip. If you had to spend no time planning, you would easily save about a week’s time of researching and curating stuff on your own. I know for sure that my parents are always concerned about my safety and security when I am travelling alone. We have tried to build a product which is inspired from personal experiences and problems we all have faced. 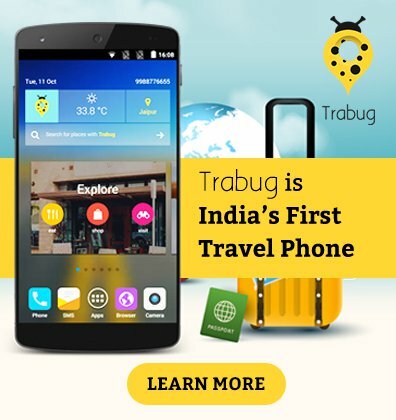 Trabug keeps a traveler safe by giving him or her all relevant emergency information. Hospital, Police and Embassy numbers and locations are all listed in our platform. 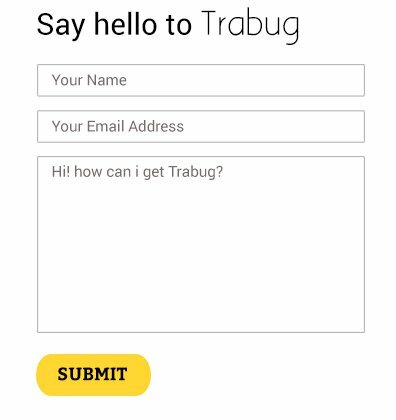 Tell Trabug what you want and it will show you only the best curated content. We feel this is of great value for the traveller. Besides information, Trabug gives connects you to services like audio tours, foreign exchange, cabs, etc. We want to build in a lot more in the near future. Spend less and do more is the mantra we follow. Trabug gives you the confidence to roam like a native.